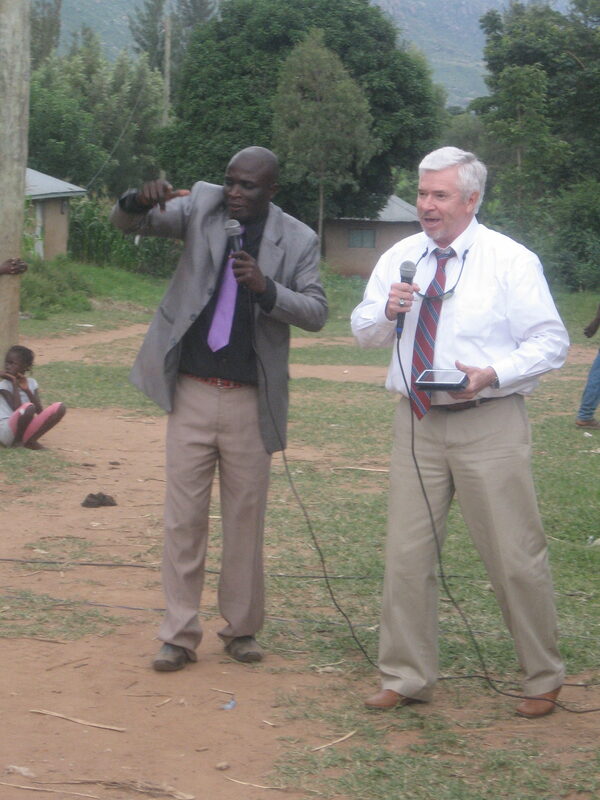 I had the privilege of preaching at several Evangelistic Crusades in Kenya, Uganda and Tanzania. Several hundred souls have come to Christ since 2013. 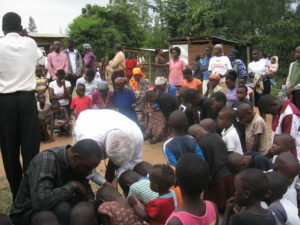 Below is a sampling of pictures from a number of Evangelistic Crusades in East Africa. 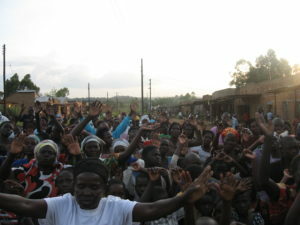 God is doing a mighty work in Africa – To God Be The Glory! 2013 Eldoret, Kenya Evangelistic Crusade – First Evangelistic Crusade in East Africa. 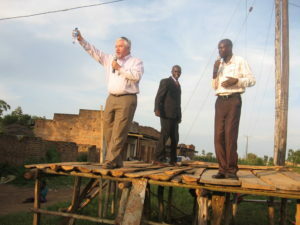 I’m preaching on top of a sewer main. 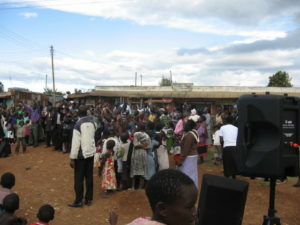 2013 Eldoret Kenya Evangelistic Crusade – Some of those who came forward to accept Christ. 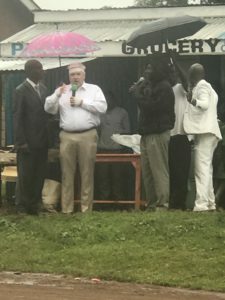 2013 Eldoret, Kenya Evangelistic Crusade – This man was an alcoholic and was saved during the Saturday afternoon Evangelistic Crusade service. 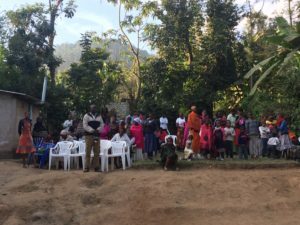 God did a great work in his heart and he was cleaned up, dressed up and praising the Lord the next day in our Sunday morning Worship Service. 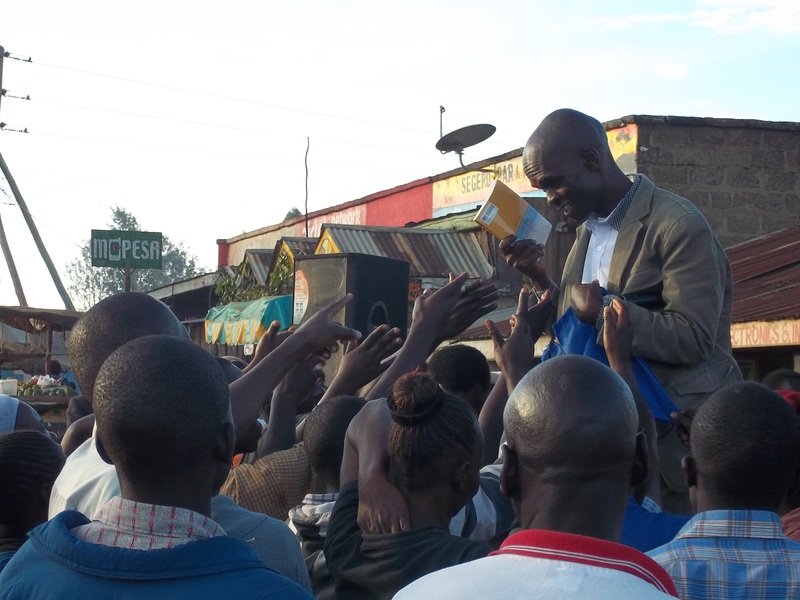 2013 Eldoret, Kenya Evangelistic Crusade – Bibles are a precious commodity in Africa. We try to place a Bible in the hands of each new convert. 2014 Eldoret, Kenya Evangelistic Crusade. 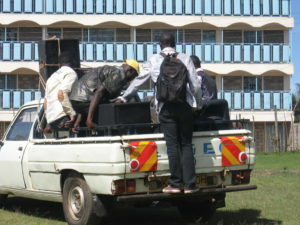 The guys have the church sound system packed up and ready to go. 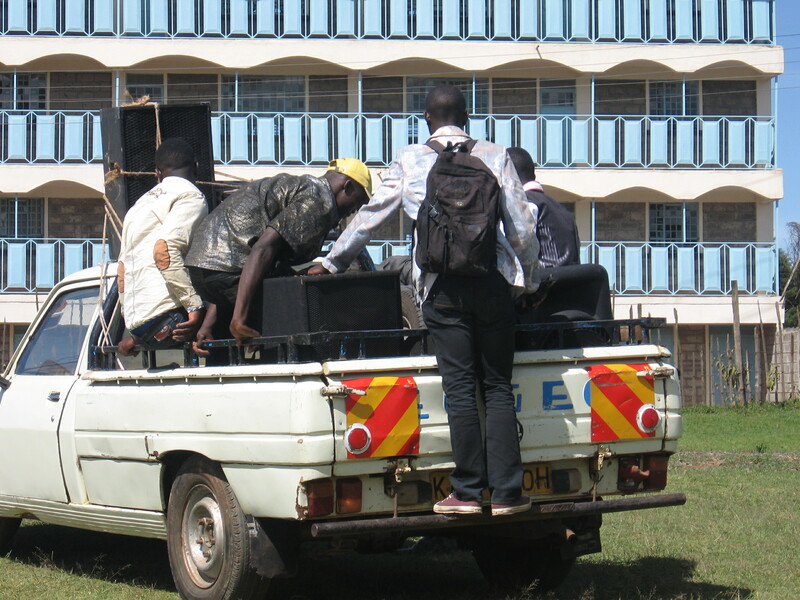 They powered it with a small generator. 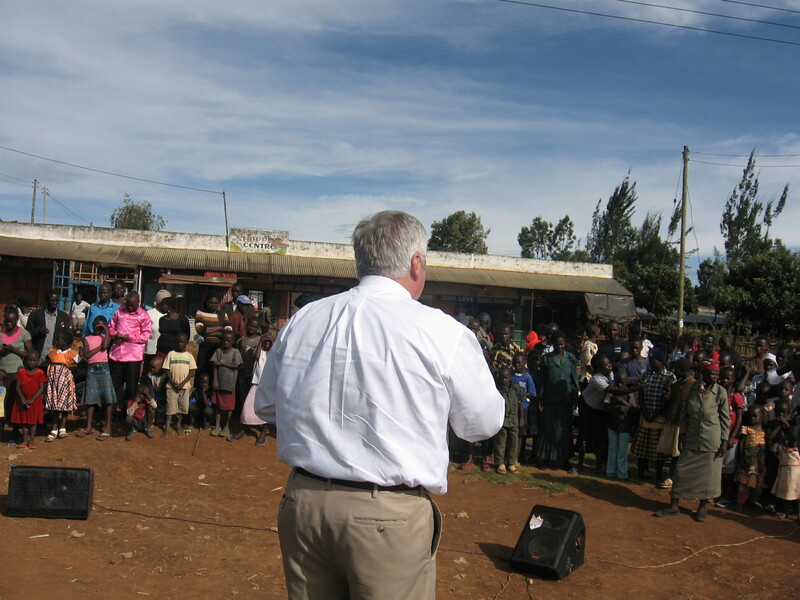 2014 Eldoret, Kenya Evangelistic Crusade. 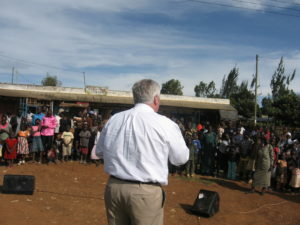 This crusade took place in an area filled with drugs, alcoholism, prostitution and is a very evil place. I could feel the evil as we drove into the area. We had 14 saved that day but I must confess, I was glad to get out of there. 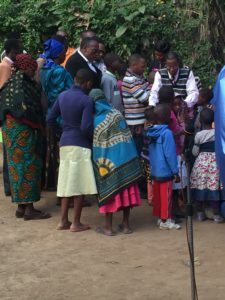 I was discouraged the next day when Bishop Chris announced that we’d be going back to that same area. Notice the caption with the picture of the young man being talked with in the striped shirt. God always knows what He is doing and I’ve learned to trust my African pastors. They also know what they are doing. 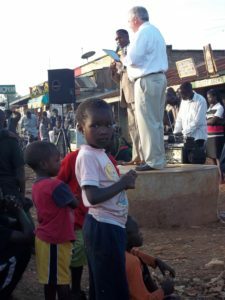 2014 Eldoret, Kenya Evangelistic Crusade – The young man in the striped shirt was saved that day. 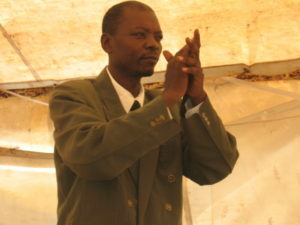 He attended the crusade the day before on his way home where he’d plan to take his own life. He said something spoke to him as he was about to take his life and told him he needed to go back the next day and hear what that white man would tell him. 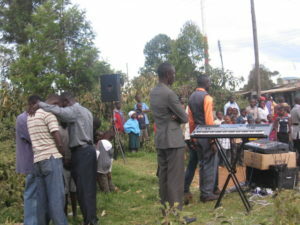 God sent us back the next day and he not only got saved but people kept coming forward for salvation for over an hour. 2014 Eldoret, Kenya Evangelistic Crusdade. 2014 Bugiri, Uganda Evangelistic Crusade – The men from the church cut trees in the jungle and built this platform for me to preach from. I used the story of the Living Water offered to the women at the well as my text, illustrating it with my bottled water. 2014 Bugiri, Uganda Evangelistic Crusade – Many were saved during the Crusade. 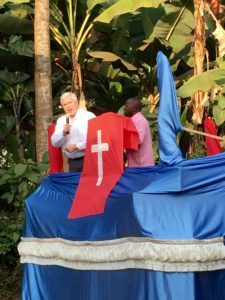 2015 Arusha, Tanzania Evangelistic Crusade – They were very creative in building and decorating by hand this stage for me to preach from. Notice the banana trees in the background. 2015 Arusha, Tanzania Evangelistic Crusade – Crowd beginning to gather in the Jungle where 4 trails came together. This was the longest Crusade we’ve done lasting for five days. 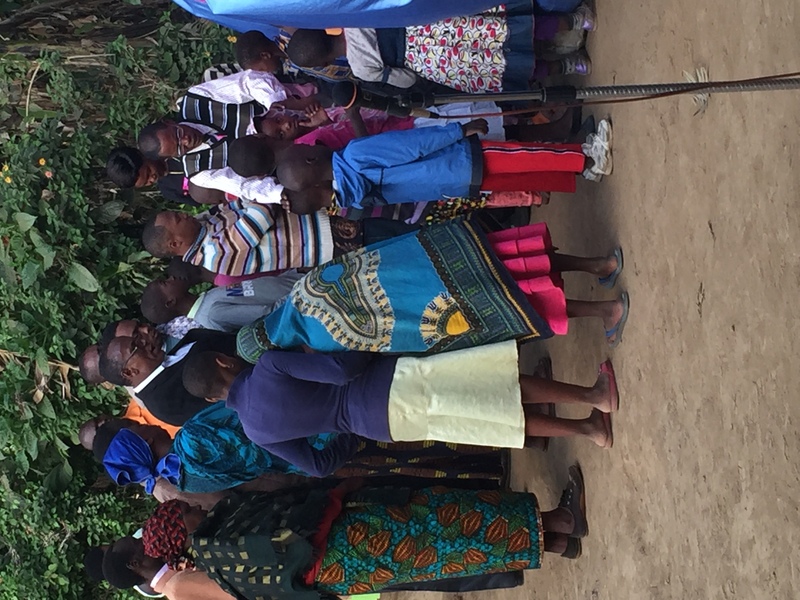 2015 Arusha, Tanzania Evangelistic Crusade – Some of several who were saved during the five days. 2015 Kisumu, Kenya Evangelistic Crusade – I used the story of the blind man Jesus made clay and covered his eyes. He was told to go to the pool of Siloam and wash his eyes with the water. 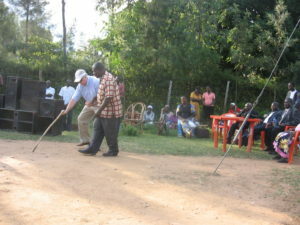 I used a blindfold and cane and became the blind man that Jesus healed. Many came forward and were saved. 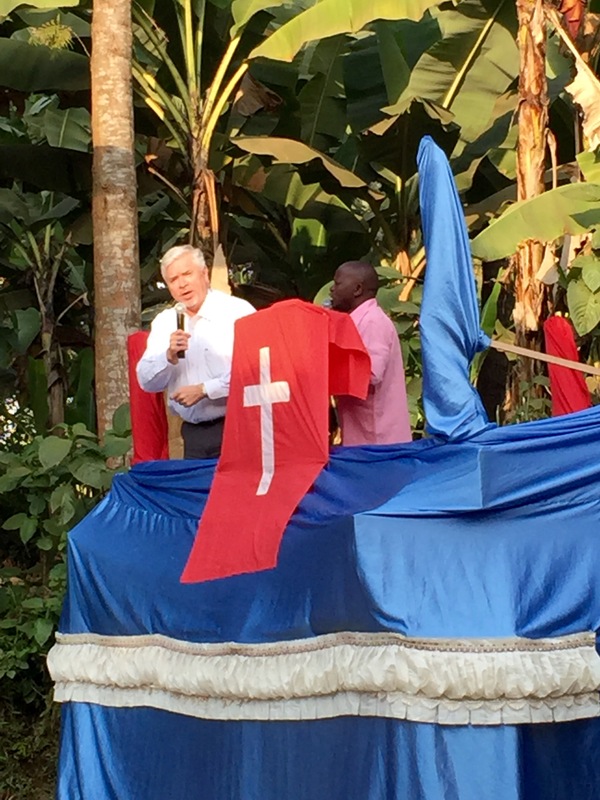 2015 Kisumu, Kenya Evangelistic Crusade – Preaching on another day. This young man did a great job (his first time) interpreting for me . 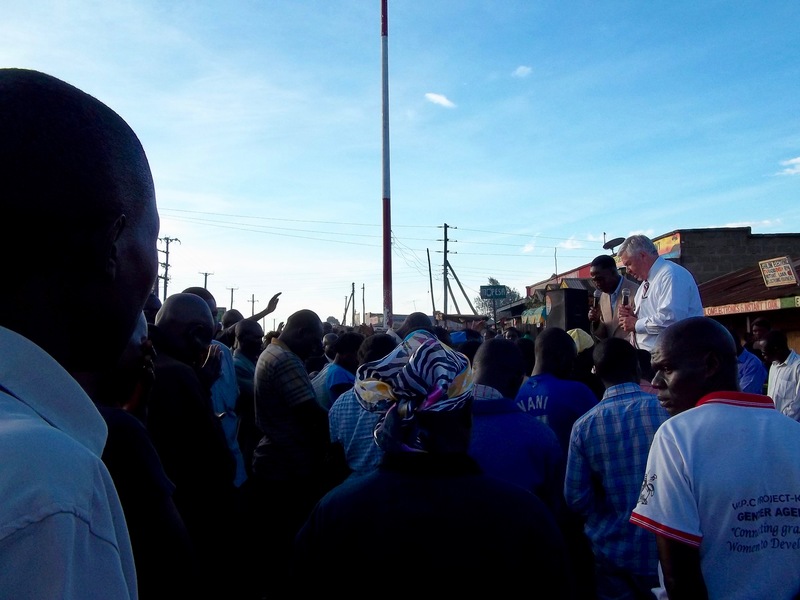 2015 Kisumu, Kenya Evangelistic Crusade – Some of those who were saved. 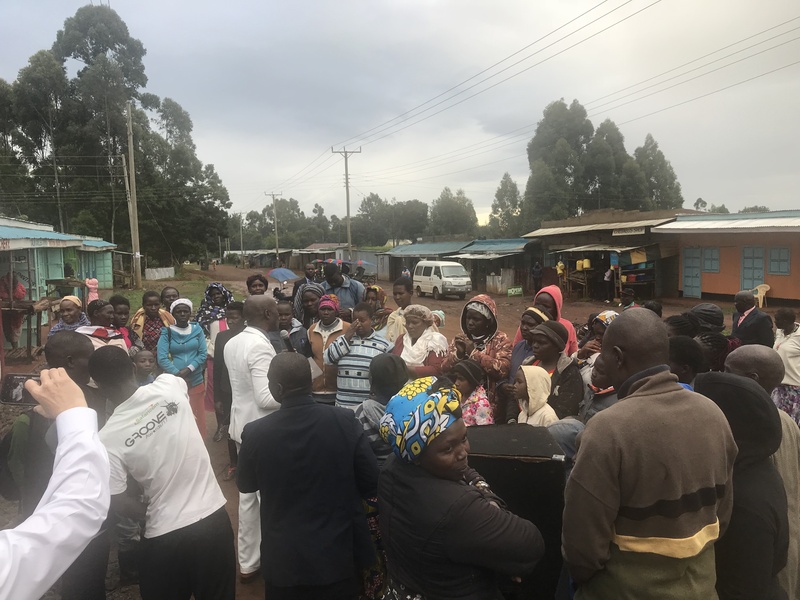 2018 Eldoret, Kenya Evangelistic Crusade – 47 saved in one day after a thunderstorm threatened to keep us from having the Crusade. 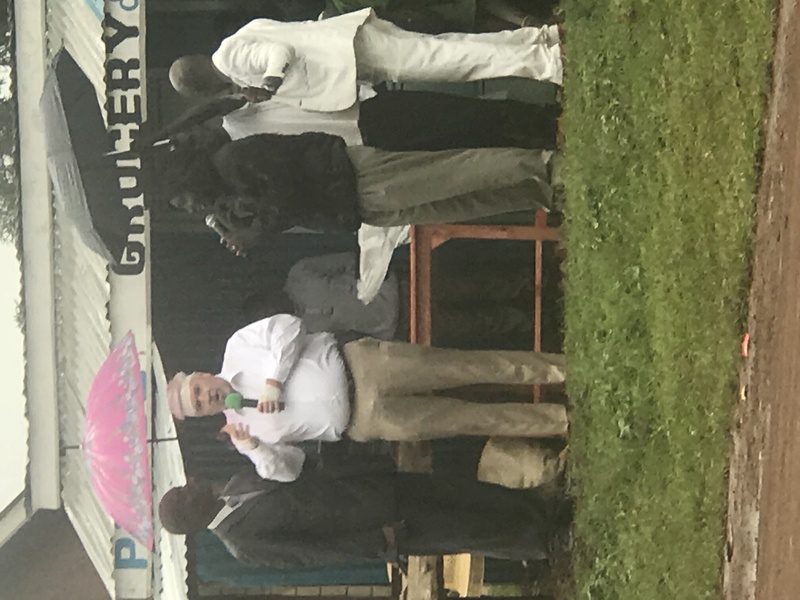 I preached in the rain and the rain stopped just as we began the invitation. We didn’t see many people listening but they began to come from all over to accept the Lord when the invitation was given. Truly amazing how the Lord works and how the devil tries to stop things. I used the story of Naaman the Leper and used gauze wrap to illustrate Naaman’s leprosy. I threw off the bandages after dipping 7 times the Jordan River, illustrating how God can wash away all our sins and make us clean new people. Many responded to the salvation call.